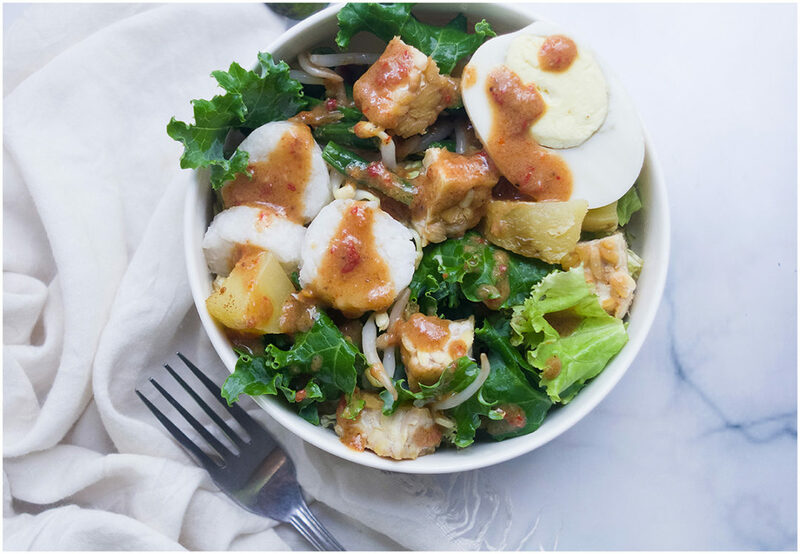 Gado-Gado is an Indonesian salad served with spicy peanut sauce. It’s a popular vegetarian dish in Indonesia and widely sold in almost every part of Indonesia. 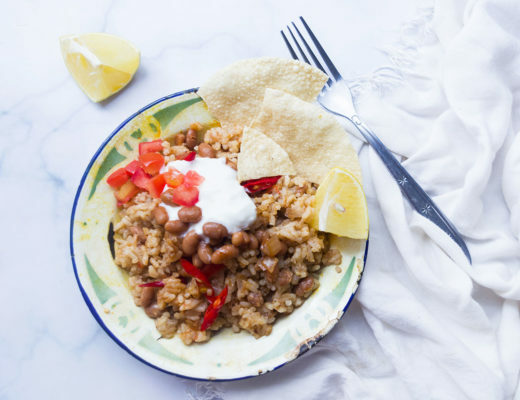 This mixed vegetable dish contains no meat at all and it’s a good choice if you are vegetarian or even vegan. 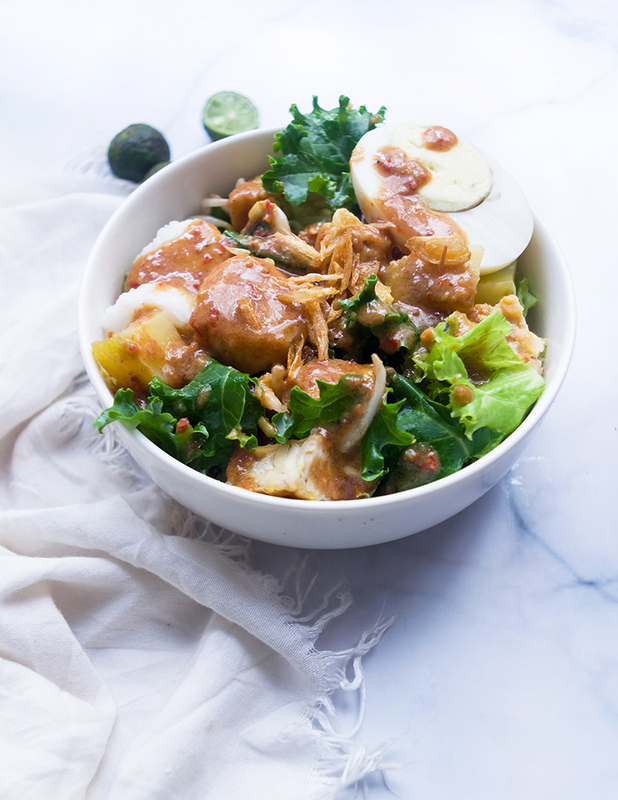 The vegetables used in gado-gado quite vary, every region have their own version of gado-gado. 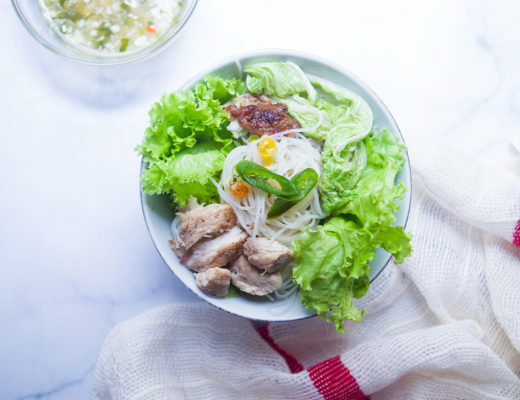 In Jakarta (sometimes it called Betawinese gado-gado) they usually add boiled unripe jackfruit, while in my hometown in Makassar the seller adding fresh lettuce. Peanut sauce: Heat oil in a pan over medium-low heat. Add garlic and chillies and cook for 2-3 minutes until soft, let it cool. Transfer garlic, chilli, roasted peanuts, kaffir lime leaves and palm sugar to a food processor; pulse until ground. Transfer paste to a saucepan and add coconut milk, cook over medium heat for 5-7 minutes, stirring constantly. Stir in tamarind concentrate, water, kecap manis and season with salt and sugar. Simmer until sauce is thickened 3-4 minutes. Heat oil in a frying pan and fry tofu until puffed and golden, drain on paper towel. 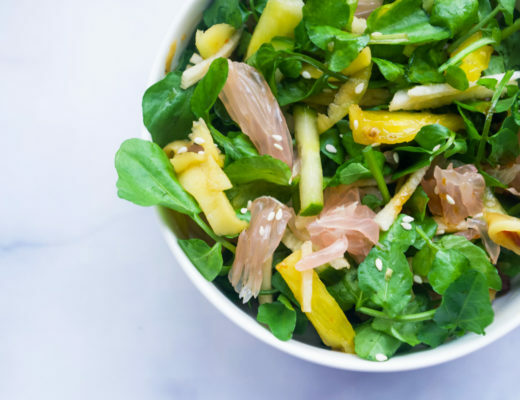 Arrange potato, lettuce, kale, cucumber, bean sprouts, rice cake and tofu in a bowl. 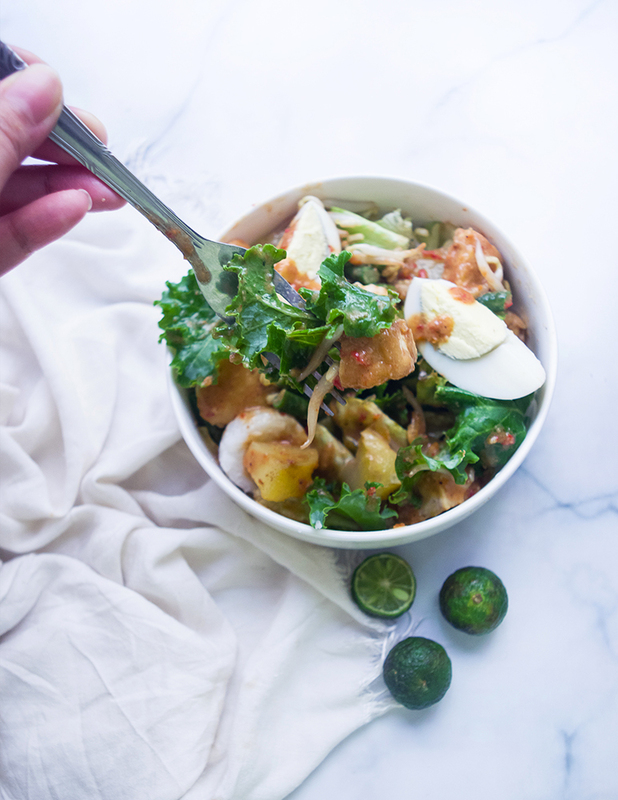 Top with sliced hard boiled egg and fried shallots, drizzle with peanut sauce and calamansi or lime juice.